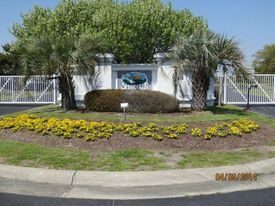 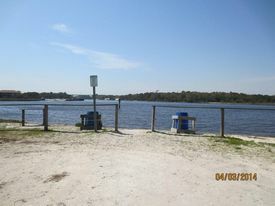 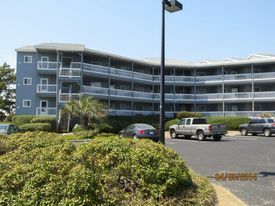 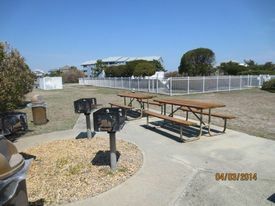 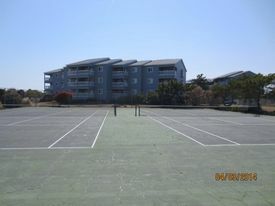 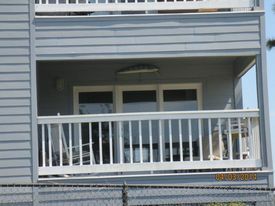 This unit is located in Carolina Beach's only gated community and just minutes from the dive center and dive boats. 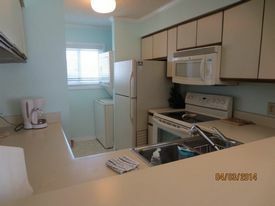 The condo is 1200 square ft and includes 3 bedrooms with two full baths. 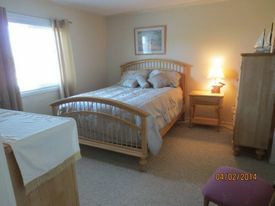 Two of the bedrooms have queen size beds with 2 twins in the 3rd bedroom. 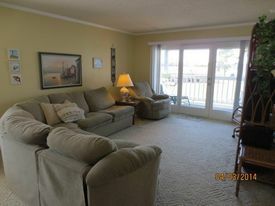 The couch in the living room pulls out into a sleeper. 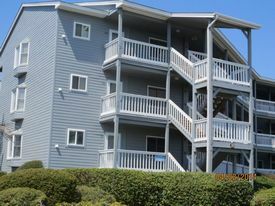 Sleeps 6 comfortably and 8 total. 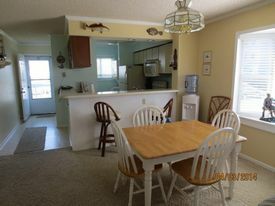 Amenities include a wet bar, full kitchen, dining area, washer/dryer and living room with flat screen TV. 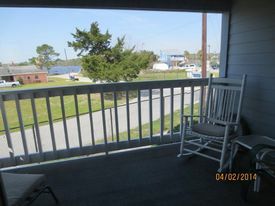 The deck overlooks Joyner's Marina and the Intercoastal waterway. 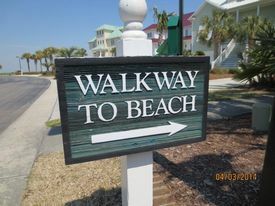 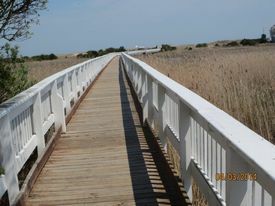 There is a private walkway to the beach. 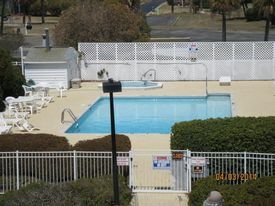 Also enjoy the 8’ deep swimming pool, hot tub, tennis courts, basket ball goal, cooking grill, and picnic tables. 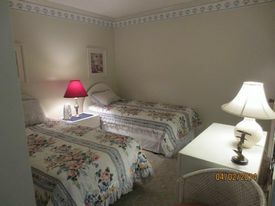 -Weekends require 3 night minimum. 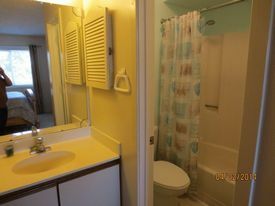 -All prices include cleaning fees. 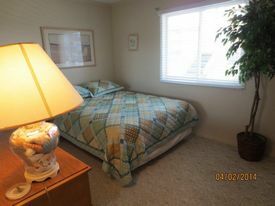 Prices does not include local or state taxes that may apply.